I am feeling the EXACT same way right now. I have been "growing" my hair to it's current length for years so now that it's finally there I don't want to just cut it all off, but at the same time I'm dying for a Grace Kelly cut. Why not try all of these? 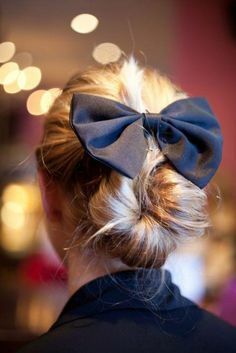 You could definitely do the first one in a modified version, and the bun with the bow is so cute! I love #1 the most! 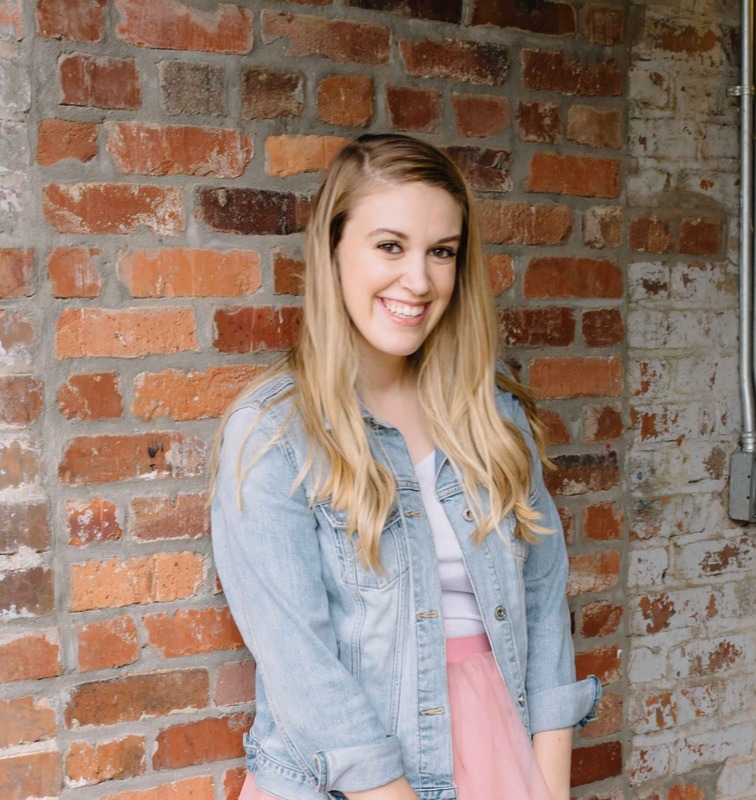 Sometimes my long hair can be a pain but it's totally worth it and plus my little girls would completely freak out if I ever cut it (they both want to be Rapunzel)! I've been trying so hard to do the dutch braid into the pony and it's so hard! Love these picks! I think all of these looks would look great on you! I'm especially loving the look with the bow! Too cute! I love the hair inspiration. I just recently got the big chop and couldn't be happier! I love the first hairstyle, I am always browsing Pinterest for inspiration. Omg I'm loving the first one!! So cute! 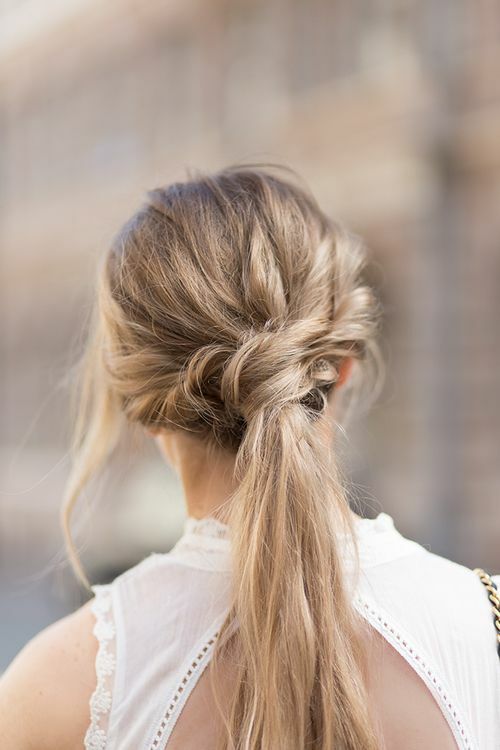 I can never get my hair to look messy like that! Maybe if I sprayed a ton of dry shampoo in it? Now I need to try! Love all of these! I think your hair will look adorable anyway! 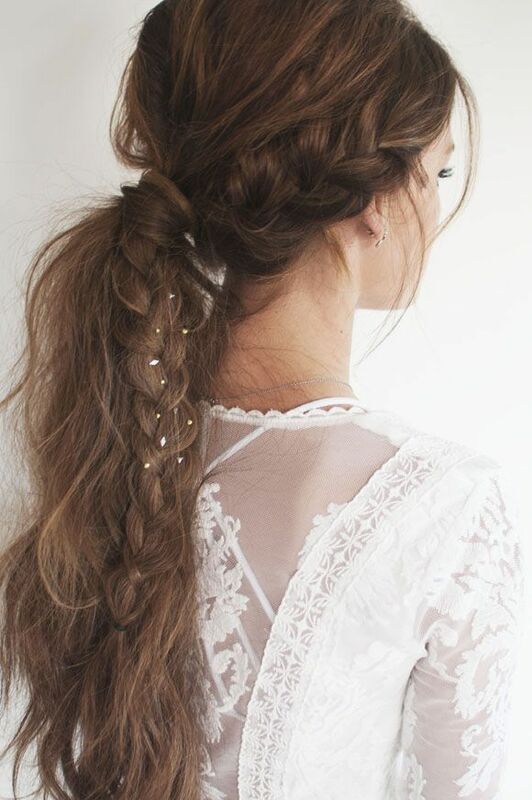 I need to up my braid game, too- these styles are gorgeous! SO many great hair inspirations! I LOVE the first one, but I don't think I would pull it off very well! I love the first hairstyle! I need my hair to grow a lot longer so that I can make it happen! I really love the glamour of the first ponytail. It looks red carpet chic. Definitely great hair-spiration. Love these styles! You should try the second one :) so pretty. I love that hairstyle with the bow - I think I'm too old for bows though so I'd probably sub in a metallic barette.